AEIB designs and manufactures industrial fans for all types of industry. 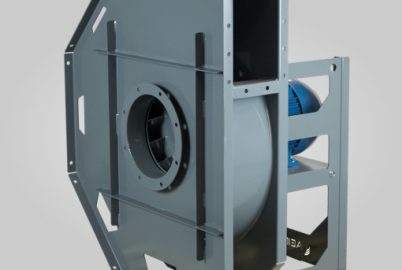 We have centrifugal fans among our range of custom-made industrial fans for heavy-duty industry environments, where the air is polluted and very dusty, particularly in environments where the air is difficult to renew or even in ATEX explosive atmospheres. 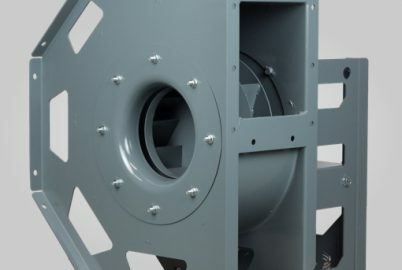 Our fans are designed to extract clean or dusty air. We offer a complete range of centrifugal fans custom-made for heavy-duty industry needs, whether the air is slightly dusty or very polluted. For very dusty atmospheres, you are sure to find the best product matching your own personal needs. 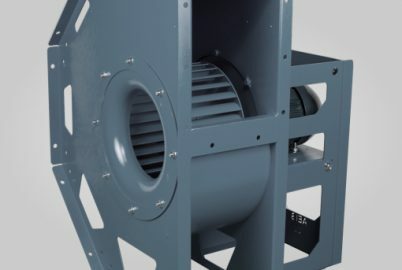 The centrifugal fan is made of three parts: A volute casing (the spiral funnel shape part) made with painted steel, grade 304 stainless steel, grade 316L steel, aluminium…, a reaction-type and impulse-type turbine, together with a standardised electric engine; everything is checked and tested by our teams to meet today’s strictest standards. Epoxy protection for atmospheres with moist or corrosive air. These components combined with the expertise of our technical teams guaranty the quality of our products, which are both airtight (upon request) and robust. They can sustain atmospheres with very high temperatures or environments with corrosive and moist air. 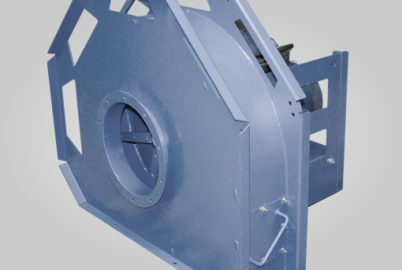 We manufacture both standard and custom-made centrifugal fans to ensure compliance with European requirements. For example, our products meet ATEX compliance (according to 94/9/CE directives) and are all ISO 9001 certified. Our products and entire manufacturing process are carefully designed to ensure safety and reliability. 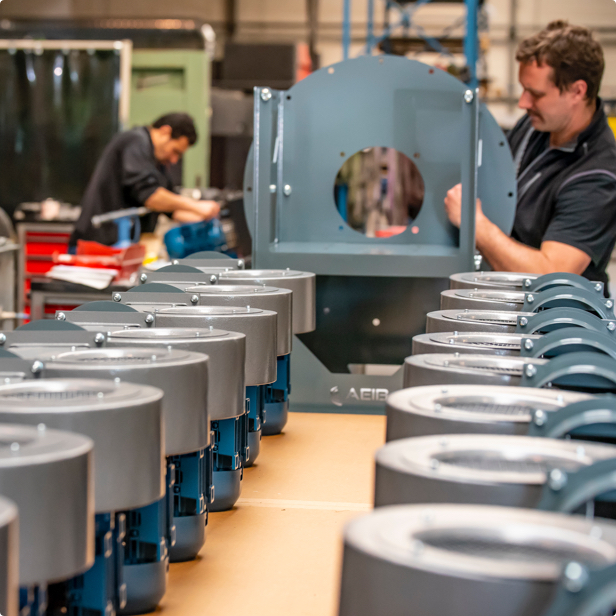 Our team of technicians and Engineers use in-house testing procedures to test and approve our industrial fans. We also supply centrifugal fans among our range of industrial fans for industrial facilities as well as axial fans.